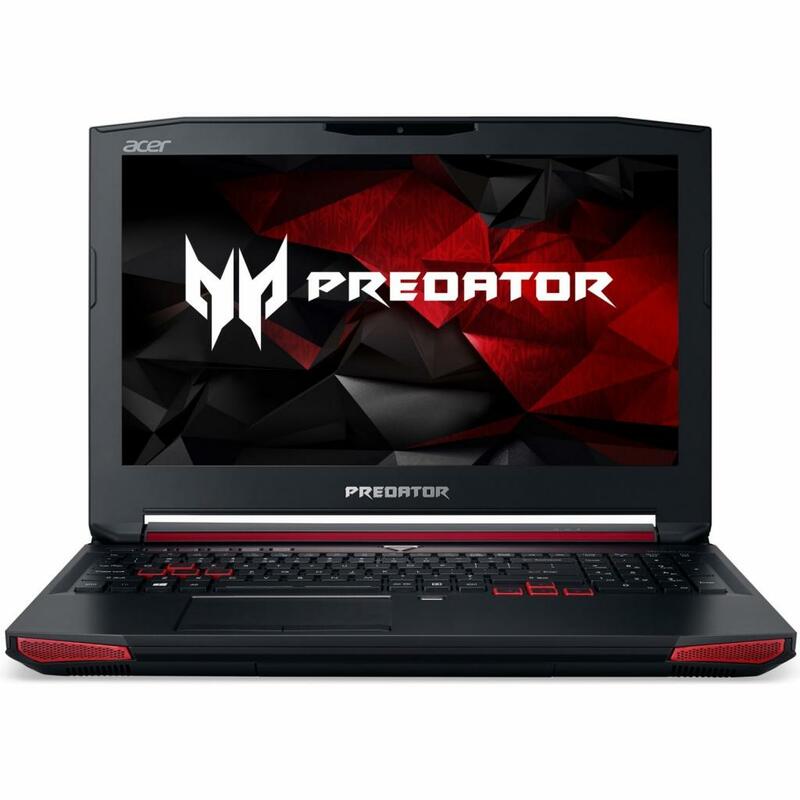 NH.Q17EU.006 Ноутбук Acer Predator G9-793-580P (NH.Q17EU.006) 17.3', FullHD (1920 х 1080), Intel Core i5 6300HQ (2.3 ГГц), 16 ГБ, 1 ТБ, 256 ГБ, NVIDIA Geforce GTX 1070, 8 ГБ, DVD±RW, Bluetooth, Wi-Fi, Gigabit Ethernet, Linux, 8 cell, 4.2 кг, Black 12 мес. 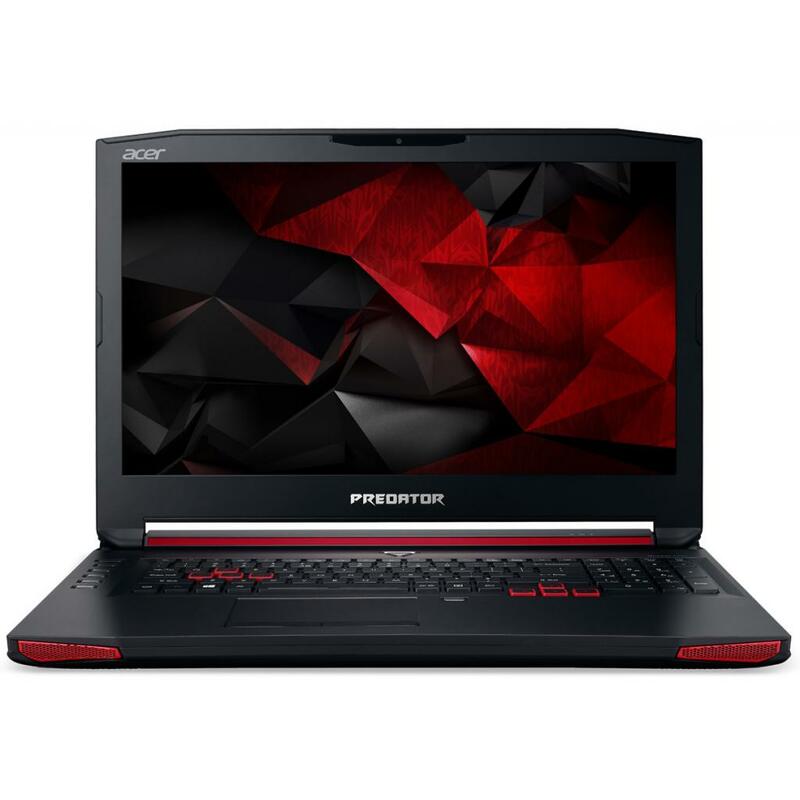 NH.Q17EU.007 Ноутбук Acer Predator G9-793-78JF (NH.Q17EU.007) 17.3', FullHD (1920 х 1080), IPS, Intel Core i7 6700HQ (2.6 - 3.5 ГГц), 16 ГБ, 2 ТБ, 512 ГБ, NVIDIA Geforce GTX 1070, 8 ГБ, DVD±RW, Bluetooth, Wi-Fi, LAN (RJ-45), Linux, 8 cell, 4.2 кг, Black 12 мес. NH.Q1LEU.006 Ноутбук Acer Aspire V17 Nitro VN7-793G-51QC (NH.Q1LEU.006) 17.3', FullHD (1920 х 1080), IPS, Intel Core i5-7300HQ (2.5-3.5GHz), 8 ГБ, 1 ТБ, NVIDIA Geforce GTX 1060, 6 ГБ, No ODD, Bluetooth, Wi-Fi, Gigabit Ethernet, Linux, 4 cell, 3 кг, Black 12 мес. NH.Q1LEU.008 Ноутбук Acer Aspire V17 Nitro VN7-793G-70ZQ (NH.Q1LEU.008) 17.3', FullHD (1920 х 1080), IPS, Intel Core i7-7700HQ (2.8 - 3.8 ГГц), 16 ГБ, 1 ТБ, 256 ГБ, NVIDIA Geforce GTX 1060, 6 ГБ, No ODD, Bluetooth, Wi-Fi, Gigabit Ethernet, Linux, 4 cell, 12 мес. 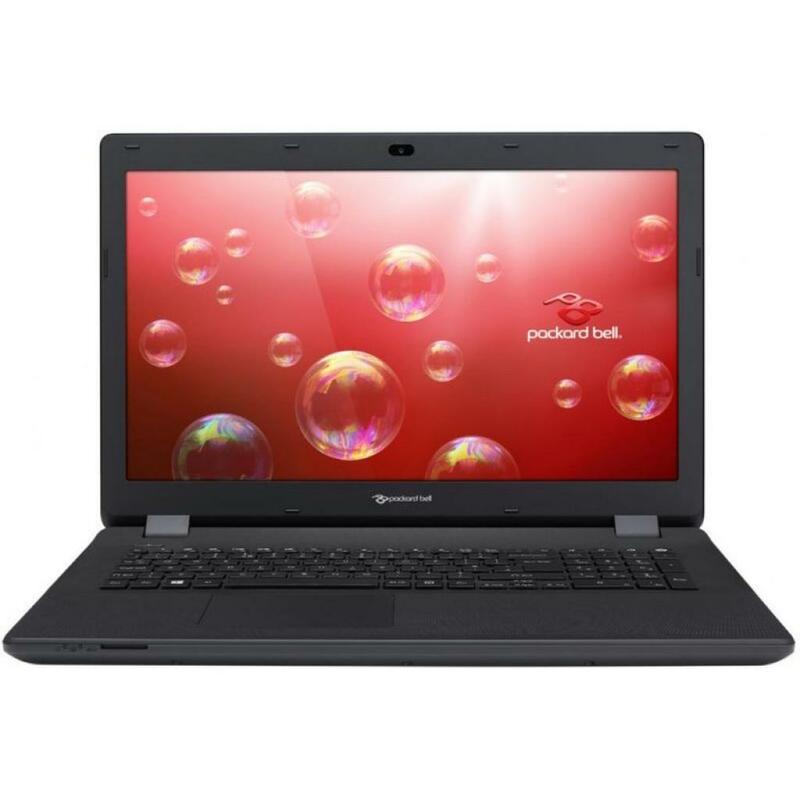 NH.Q1TEU.008 Ноутбук Acer Predator 17 G9-793-72XX (NH.Q1TEU.008) 17.3', FullHD (1920 х 1080), Intel Core i7-7700HQ (2.8 - 3.8 ГГц), 16 ГБ, 2 ТБ, 256 ГБ, NVIDIA Geforce GTX 1070, 8 ГБ, DVD-SMulti, Bluetooth, Wi-Fi, Gigabit Ethernet, Linux, 8 cell, 4.2 кг, 12 мес. 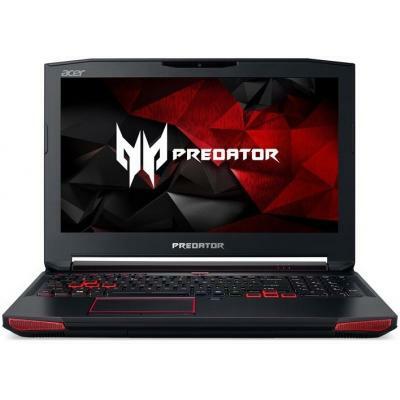 NH.Q1VEU.006 Ноутбук Acer Predator 17 G9-793-58BM (NH.Q1VEU.006) 17.3', FullHD (1920 х 1080), Intel Core i5-7300HQ, 8 ГБ, 1 ТБ, 128 ГБ, NVIDIA Geforce GTX 1060, 6 ГБ, DVD-SMulti, Bluetooth, Wi-Fi, Gigabit Ethernet, Linux, 8 cell, 4.2 кг, Black 12 мес. 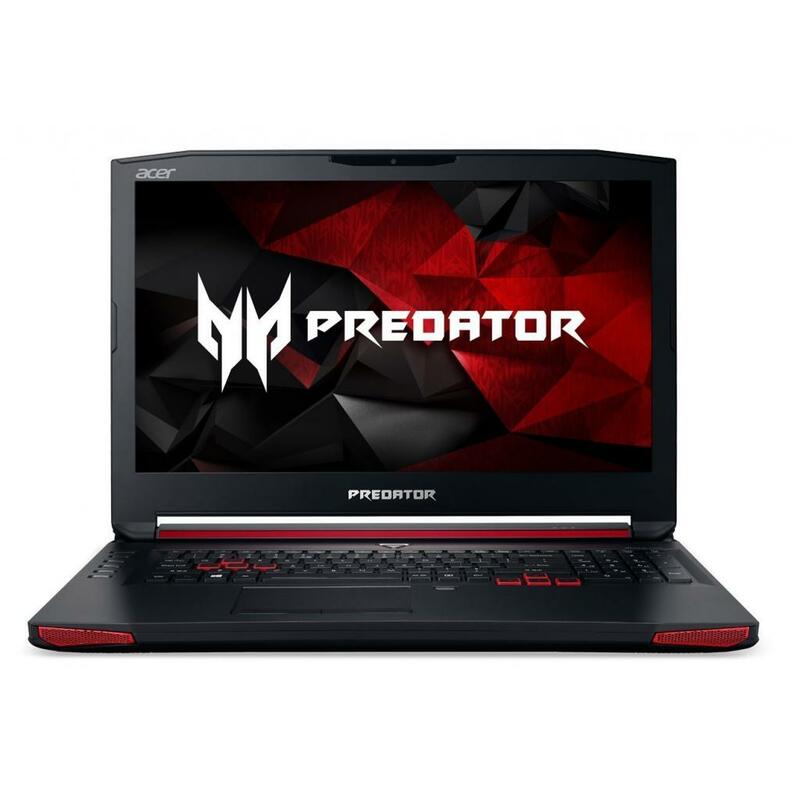 NH.Q1YEU.007 Ноутбук Acer Predator 15 G9-593-50E1 (NH.Q1YEU.007) 15.6', FullHD (1920 х 1080), IPS, Intel Core i5-7300HQ (2.5-3.5GHz), 8 ГБ, 1 ТБ, 128 ГБ, NVIDIA Geforce GTX 1060, 6 ГБ, DVD-SuperMulti, Bluetooth, Wi-Fi, Gigabit Ethernet, Linux, 8 cell, 3.7 12 мес. NH.Q2BEU.002 Ноутбук Acer Predator Helios 300 G3-572-79Q4 (NH.Q2BEU.002) 15.6', FullHD (1920 х 1080), IPS, Intel Core i7-7700HQ (2.8 - 3.8 ГГц), 16 ГБ, 1 ТБ, 256 ГБ, NVIDIA Geforce GTX 1060, 6 ГБ, No ODD, Bluetooth, Wi-Fi, Gigabit Ethernet, Linux, 4 cell, 12 мес. NH.Q2BEU.011 Ноутбук Acer Predator Helios 300 G3-572-51GF (NH.Q2BEU.011) 15.6', FullHD (1920 х 1080), IPS, Intel Core i5-7300HQ (2.5-3.5GHz), 16 ГБ, 1 ТБ, 128 ГБ, NVIDIA Geforce GTX 1060, 6 ГБ, No ODD, Bluetooth, Wi-Fi, Gigabit Ethernet, Windows 10 Home 6 12 мес. 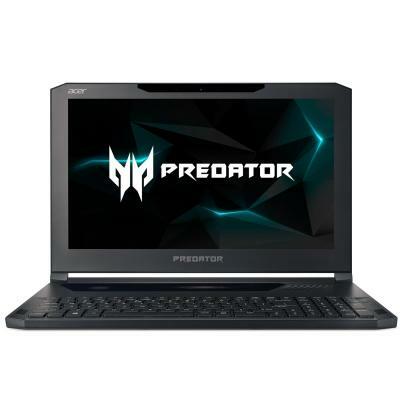 NH.Q2BEU.015 Ноутбук Acer Predator Helios 300 G3-572-72WQ (NH.Q2BEU.015) 15.6', FullHD (1920 х 1080), IPS, Intel Core i7-7700HQ (2.8 - 3.8 ГГц), 16 ГБ, отсутствует, 512 ГБ, NVIDIA Geforce GTX 1060, 6 ГБ, No ODD, Bluetooth, Wi-Fi, Gigabit Ethernet, Linux, 12 мес. 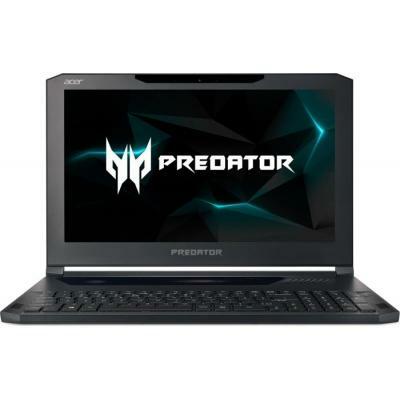 NH.Q2BEU.025 Ноутбук Acer Predator Helios 300 G3-572-505Q (NH.Q2BEU.025) 15.6', FullHD (1920 х 1080), IPS, Intel Core i5-7300HQ (2.5-3.5GHz), 8 ГБ, 1 ТБ, 128 ГБ, NVIDIA Geforce GTX 1060, 6 ГБ, No ODD, Bluetooth, Wi-Fi, Gigabit Ethernet, Linux, 4 cell, 2.7 12 мес. 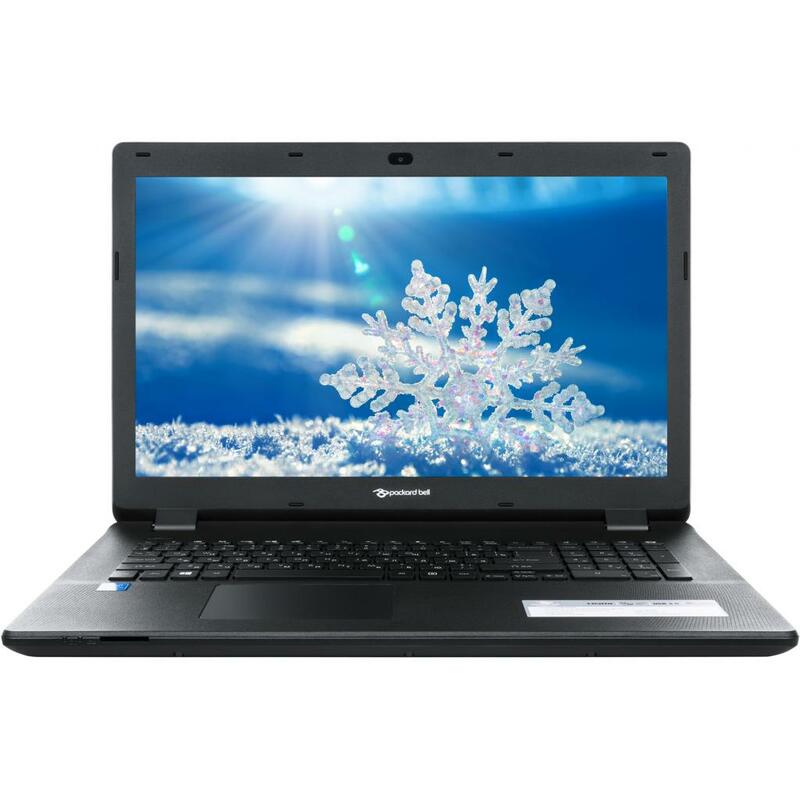 NH.Q2BEU.041 Ноутбук Acer Predator Helios 300 G3-572-51JQ (NH.Q2BEU.041) 15.6', FullHD (1920 х 1080), Intel Core i5-7300HQ (2.5-3.5GHz), 16 ГБ, 1 ТБ, NVIDIA Geforce GTX 1060, 6 ГБ, н.д., Bluetooth, Wi-Fi, Gigabit Ethernet, Linux, 4 cell, 2.7 кг, Black 12 мес. 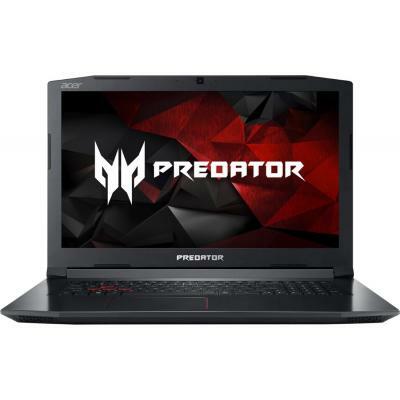 NH.Q2BEU.042 Ноутбук Acer Predator Helios 300 G3-572-53X0 (NH.Q2BEU.042) 15.6', FullHD (1920 х 1080), IPS, Intel Core i5-7300HQ (2.5-3.5GHz), 16 ГБ, отсутствует, 256 ГБ, NVIDIA Geforce GTX 1060, 6 ГБ, н.д., Bluetooth, Wi-Fi, Gigabit Ethernet, Linux, 4 cel 12 мес. NH.Q2BEU.043 Ноутбук Acer Predator Helios 300 G3-572-57SW (NH.Q2BEU.043) 15.6', FullHD (1920 х 1080), IPS, Intel Core i5-7300HQ (2.5-3.5GHz), 8 ГБ, 1 ТБ, 256 ГБ, NVIDIA Geforce GTX 1060, 6 ГБ, н.д., Bluetooth, Wi-Fi, Gigabit Ethernet, Linux, 4 cell, 2.7 к 12 мес. NH.Q2BEU.044 Ноутбук Acer Predator Helios 300 G3-572-53R6 (NH.Q2BEU.044) 15.6', FullHD (1920 х 1080), IPS, Intel Core i5-7300HQ (2.5-3.5GHz), 8 ГБ, 1 ТБ, 128 ГБ, NVIDIA Geforce GTX 1060, 6 ГБ, н.д., Bluetooth, Wi-Fi, Gigabit Ethernet, Windows 10 Home, 4 c 12 мес. 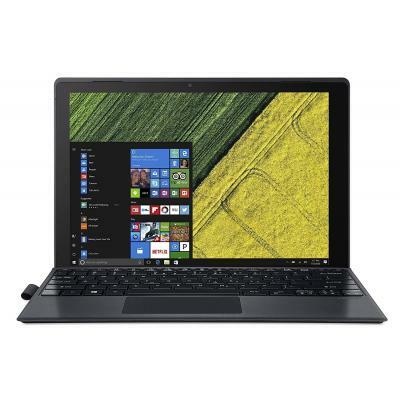 NH.Q2CEU.002 Ноутбук Acer Predator Helios 300 G3-572-554B (NH.Q2CEU.002) 15.6', FullHD (1920 х 1080), Intel Core i5-7300HQ (2.5-3.5GHz), 8 ГБ, 1 ТБ, NVIDIA GeForce GTX 1050 Ti, 4 ГБ, No ODD, Bluetooth, Wi-Fi, Gigabit Ethernet, Linux, 4 cell, 2.7 кг, Black 12 мес. NH.Q2KEU.007 Ноутбук Acer Predator Triton 700 PT715-51-71ES (NH.Q2KEU.007) 15.6', FullHD (1920 х 1080), IPS, Intel Core i7-7700HQ (2.8 - 3.8 ГГц), 16 ГБ, отсутствует, 512 ГБ, NVIDIA Geforce GTX 1060, 6 ГБ, No ODD, Bluetooth, Wi-Fi, LAN (RJ-45), Windows 10 12 мес. 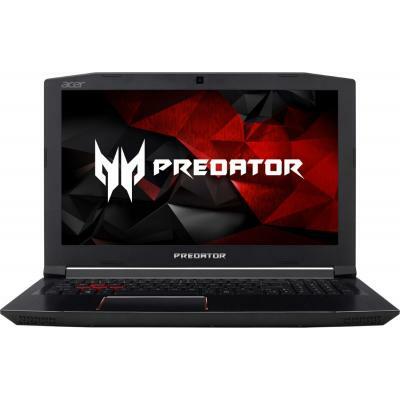 NH.Q2LEU.007 Ноутбук Acer Predator Triton 700 PT715-51-71QY (NH.Q2LEU.007) 15.6', FullHD (1920 х 1080), IPS, Intel Core i7-7700HQ (2.8 - 3.8 ГГц), 32 ГБ, отсутствует, 1 ТБ, NVIDIA Geforce GTX 1080, 8 ГБ, No ODD, Bluetooth, Wi-Fi, Gigabit Ethernet, Windows 12 мес. 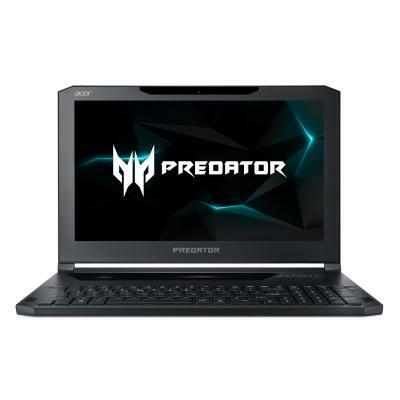 NH.Q2LEU.009 Ноутбук Acer Predator Triton 700 PT715-51-77UV (NH.Q2LEU.009) 15.6', FullHD (1920 х 1080), IPS, Intel Core i7-7700HQ (2.8 - 3.8 ГГц), 16 ГБ, отсутствует, 512 ГБ, NVIDIA Geforce GTX 1080, 8 ГБ, No ODD, Bluetooth, Wi-Fi, Gigabit Ethernet, Windo 12 мес. NH.Q2MEU.010 Ноутбук Acer Predator Helios 300 PH317-51-5577 (NH.Q2MEU.010) 17.3', FullHD (1920 х 1080), IPS, Intel Core i5-7300HQ (2.5-3.5GHz), 16 ГБ, отсутствует, 512 ГБ, NVIDIA GeForce GTX 1050 Ti, 4 ГБ, No ODD, Bluetooth, Wi-Fi, Gigabit Ethernet, Windo 12 мес. 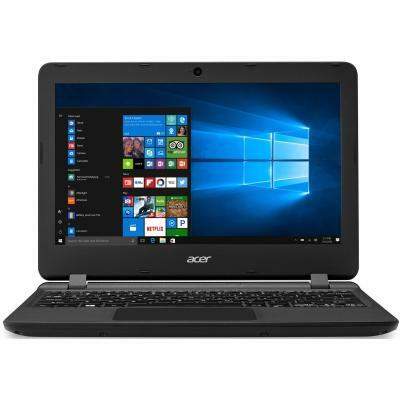 NH.Q2QEU.003 Ноутбук Acer Nitro 5 AN515-51-57KA (NH.Q2QEU.003) 15.6', FullHD (1920 х 1080), IPS, Intel Core i5-7300HQ (2.5-3.5GHz), 16 ГБ, 1 ТБ, 256 ГБ, NVIDIA GeForce GTX 1050 Ti, 4 ГБ, No ODD, Bluetooth, Wi-Fi, LAN (RJ-45), Windows 10 Home, 4 cell, 2.7 12 мес. 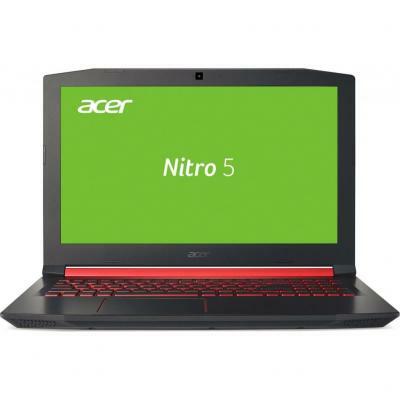 NH.Q2QEU.064 Ноутбук Acer Nitro 5 AN515-51-74NL (NH.Q2QEU.064) 15.6', FullHD (1920 х 1080), IPS, Intel Core i7-7700HQ (2.8 - 3.8 ГГц), 8 ГБ, отсутствует, 256 ГБ, NVIDIA GeForce GTX 1050 Ti, 4 ГБ, No ODD, Bluetooth, Wi-Fi, Gigabit Ethernet, Linux, 4 cell, 12 мес. 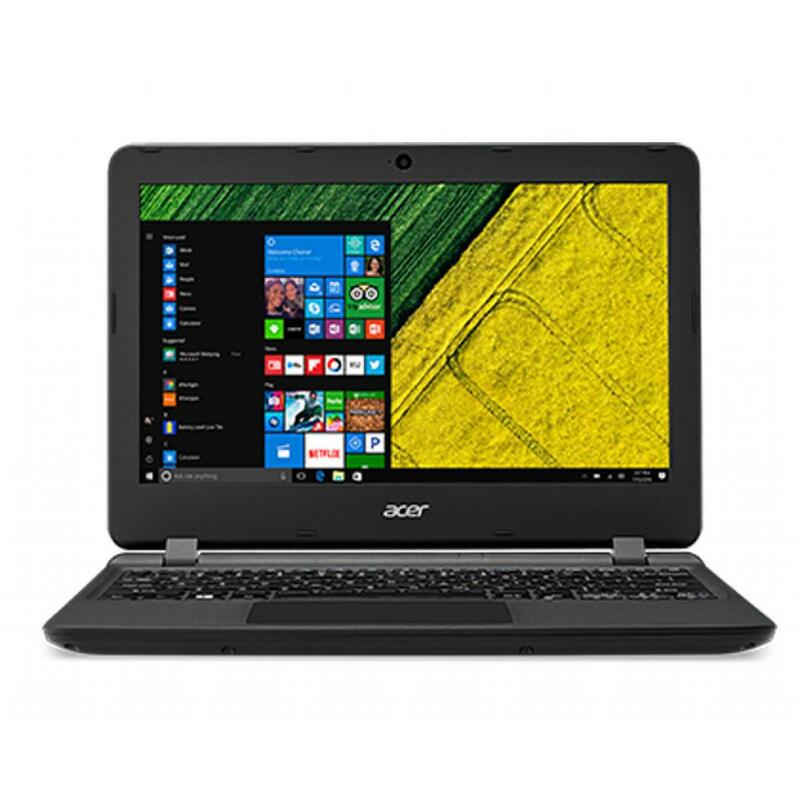 NH.Q2QEU.066 Ноутбук Acer Nitro 5 AN515-51-73HF (NH.Q2QEU.066) 15.6', FullHD (1920 х 1080), IPS, Intel Core i7-7700HQ (2.8 - 3.8 ГГц), 16 ГБ, 1 ТБ, 256 ГБ, NVIDIA GeForce GTX 1050 Ti, 4 ГБ, No ODD, Bluetooth, Wi-Fi, Gigabit Ethernet, Linux, 4 cell, 2.7 кг 12 мес. 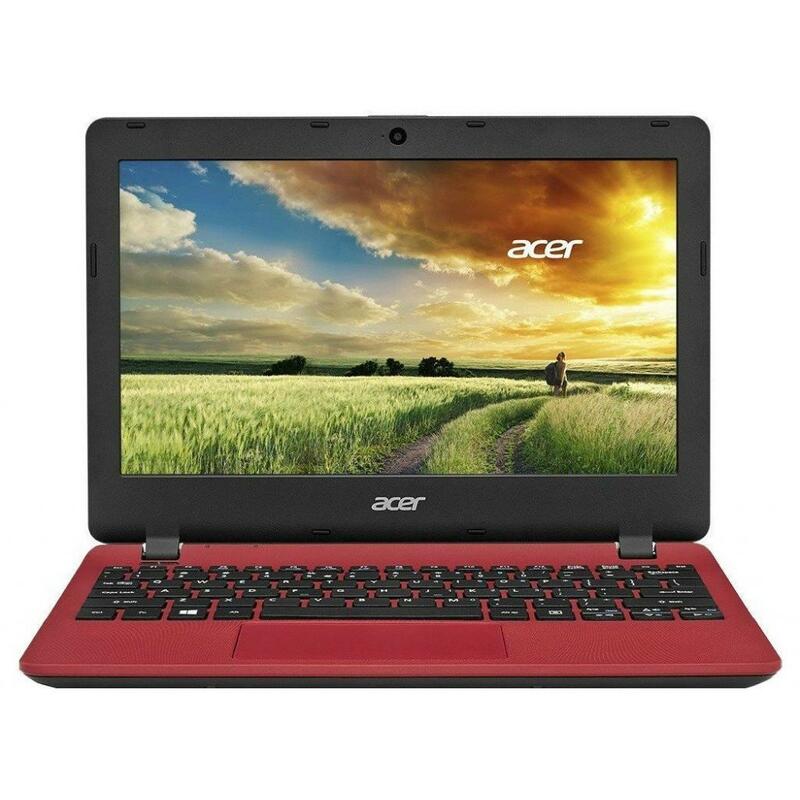 NH.Q2QEU.070 Ноутбук Acer Nitro 5 AN515-51-592Y (NH.Q2QEU.070) 15.6', FullHD (1920 х 1080), IPS, Intel Core i5-7300HQ (2.5-3.5GHz), 16 ГБ, 1 ТБ, 128 ГБ, NVIDIA GeForce GTX 1050 Ti, 4 ГБ, No ODD, Bluetooth, Wi-Fi, Gigabit Ethernet, Linux, 4 cell, 2.7 кг, B 12 мес. 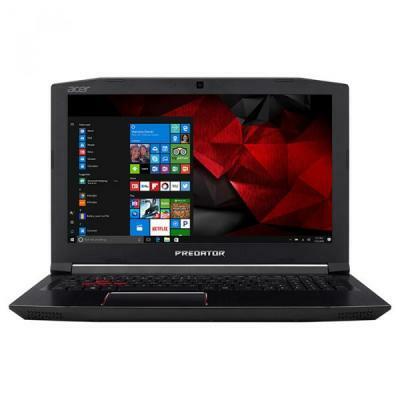 NH.Q2REU.020 Ноутбук Acer Nitro 5 AN515-51-50HC (NH.Q2REU.020) 15.6', FullHD (1920 х 1080), IPS, Intel Core i5-7300HQ (2.5-3.5GHz), 6 ГБ, 1 ТБ, NVIDIA GeForce GTX 1050, 4 ГБ, н.д., Bluetooth, Wi-Fi, LAN (RJ-45), Windows 10, 4 cell, 2.7 кг, Black 12 мес. 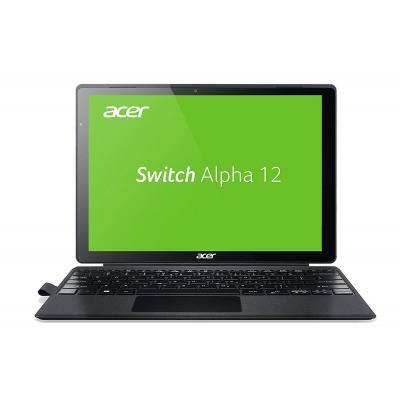 NT.LCDEU.019 Ноутбук Acer Switch Alpha 12 SA5-271 (NT.LCDEU.019) 12.5', WQHD (2560x1440), IPS, Intel Core i5 6200U (2.3 ГГц), 4 ГБ, отсутствует, 256 ГБ, Intel HD Graphics 520, No ODD, Bluetooth, Wi-Fi, Windows 10, 2 cell, 1.25 кг, Grey 12 мес. 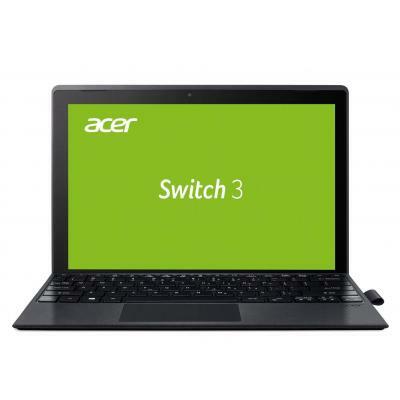 NT.LDTEU.001 Ноутбук Acer Switch 5 SW512-52 (NT.LDTEU.001) 12', 2304x1440, IPS, Intel Core i5 7200U (2.5-3.1 ГГц), 8 ГБ, отсутствует, 256 ГБ, Intel HD Graphics 620, No ODD, Bluetooth, Wi-Fi, Windows 10 Pro, 2 cell, 1.26 кг, Shale Gray 12 мес. 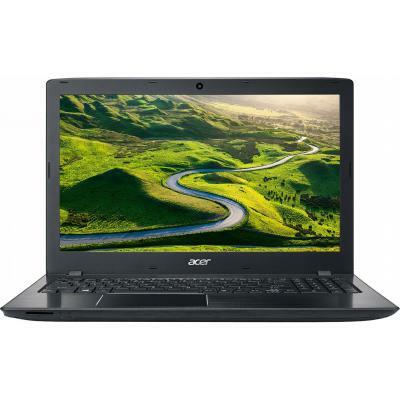 Acer TE11BZ-21804G50Mnks Black 15.6" HD LED/AMD E2-1800/4GB/500GB/HD 7340/DVD SM/Wi-Fi/WCam/Linux/2.45kg 12 мес. NX.EFAEU.038 Ноутбук Acer Extensa 2519 EX2519-C19K (NX.EFAEU.038) 15.6', HD (1366 х 768), Intel Celeron N3060 (1.6 - 2.48 ГГц), 2 ГБ, 500 ГБ, Intel HD, No ODD, Bluetooth, Wi-Fi, LAN (RJ-45), Linux, 3 cell, 2.4 кг, Black 12 мес. NX.EFAEU.039 Ноутбук Acer Extensa 2519 EX2519-C7NB (NX.EFAEU.039) 15.6', HD (1366 х 768), Intel Celeron N3060 (1.6 - 2.48 ГГц), 4 ГБ, 500 ГБ, Intel HD, No ODD, Bluetooth, Wi-Fi, LAN (RJ-45), Linux, 3 cell, 2.4 кг, Black 12 мес. NX.EFGEU.002 Ноутбук Acer Extensa 2540 EX2540-384G (NX.EFGEU.002) 15.6', HD (1366 х 768), Intel Core i3 6006U (2.0 ГГц), 4 ГБ, 500 ГБ, Intel HD, No ODD, Bluetooth, Wi-Fi, LAN (RJ-45), Linux, 3 cell, 2.4 кг, Black 12 мес. 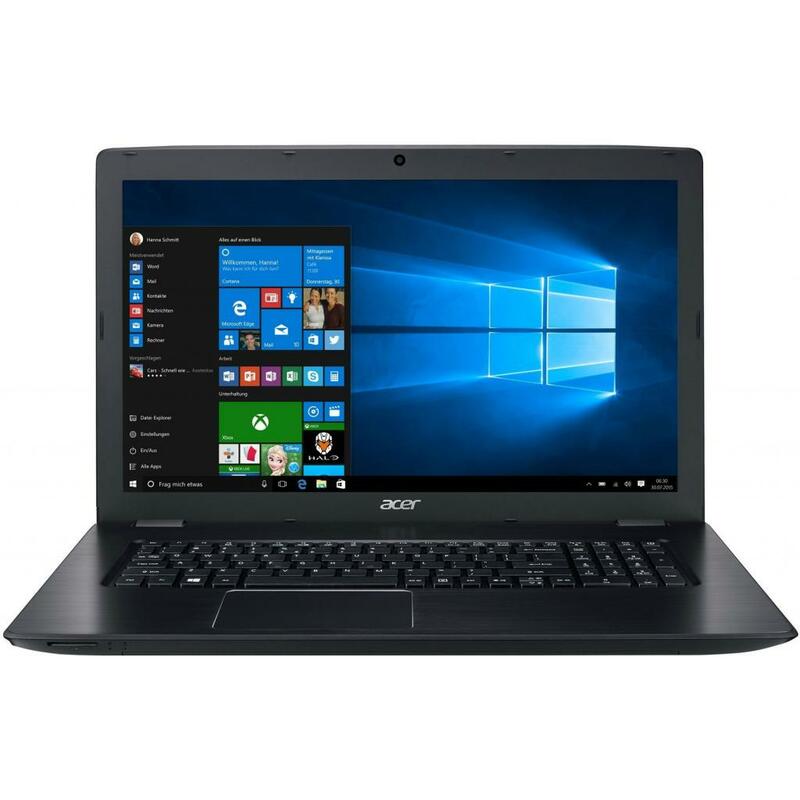 NX.G17EU.004 Ноутбук Acer Aspire ES1-131-C57G (NX.G17EU.004) 11.6', HD (1366 х 768), TN+film, Intel Celeron N3050 (1.6 ГГц), 2 ГБ, 500 ГБ, Intel HD, No ODD, Bluetooth, Wi-Fi, Gigabit Ethernet, Linux, 3 cell, 1.29 кг, Red 12 мес. 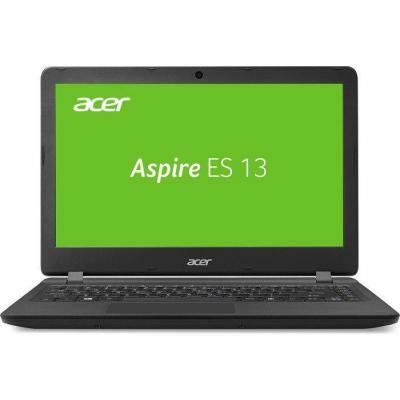 NX.GCEEU.092 Ноутбук Acer Aspire ES1-571-31D2 (NX.GCEEU.092) 15.6', FullHD (1920 х 1080), Intel Core i3 5005U (2.00 ГГц), 4 ГБ, 1 ТБ, Intel HD Graphics 5500, No ODD, Bluetooth, Wi-Fi, LAN (RJ-45), Linux, 3 cell, 2.4 кг, Black 12 мес. NX.GD0EU.013 Ноутбук Acer Aspire ES1-572-54J8 (NX.GD0EU.013) 15.6', HD (1366 х 768), TN+film, Intel Core i5 6200U (2.3 ГГц), 4 ГБ, 500 ГБ, Intel HD Graphics 520, No ODD, Bluetooth, Wi-Fi, LAN (RJ-45), Linux, 4 cell, 2.4 кг, Black 12 мес. NX.GD0EU.034 Ноутбук Acer Aspire ES1-572-523E (NX.GD0EU.034) 15.6', FullHD (1920 х 1080), TN+film, Intel Core i5 6200U (2.3 ГГц), 4 ГБ, 1 ТБ, Intel HD, DVD±RW, Bluetooth, Wi-Fi, Linux, 4 cell, 2.4 кг, Black 12 мес. NX.GD0EU.045 Ноутбук Acer Aspire ES1-572-57J0 (NX.GD0EU.045) 15.6', FullHD (1920 х 1080), Intel Core i5 6200U (2.3 ГГц), 4 ГБ, отсутствует, 256 ГБ, Intel HD, No ODD, Bluetooth, Wi-Fi, LAN (RJ-45), Linux, 4 cell, 2.4 кг, Black 12 мес. NX.GD0EU.069 Ноутбук Acer Aspire ES1-572-39F6 (NX.GD0EU.069) 15.6', FullHD (1920 х 1080), Intel Core i3 6006U (2.0 ГГц), 4 ГБ, отсутствует, 128 ГБ, Intel HD Graphics 520, No ODD, Bluetooth, Wi-Fi, LAN (RJ-45), Linux, 4 cell, 2.4 кг, Black 12 мес. NX.GD0EU.096 Ноутбук Acer Aspire ES15 ES1-572 (NX.GD0EU.096) 15.6', HD (1366 х 768), Intel Core i3 6006U (2.0 ГГц), 4 ГБ, 500 ГБ, Intel HD Graphics 520, DVD±RW, Bluetooth, Wi-Fi, Gigabit Ethernet, Endless OS, 4 cell, 2.4 кг, Black 12 мес. 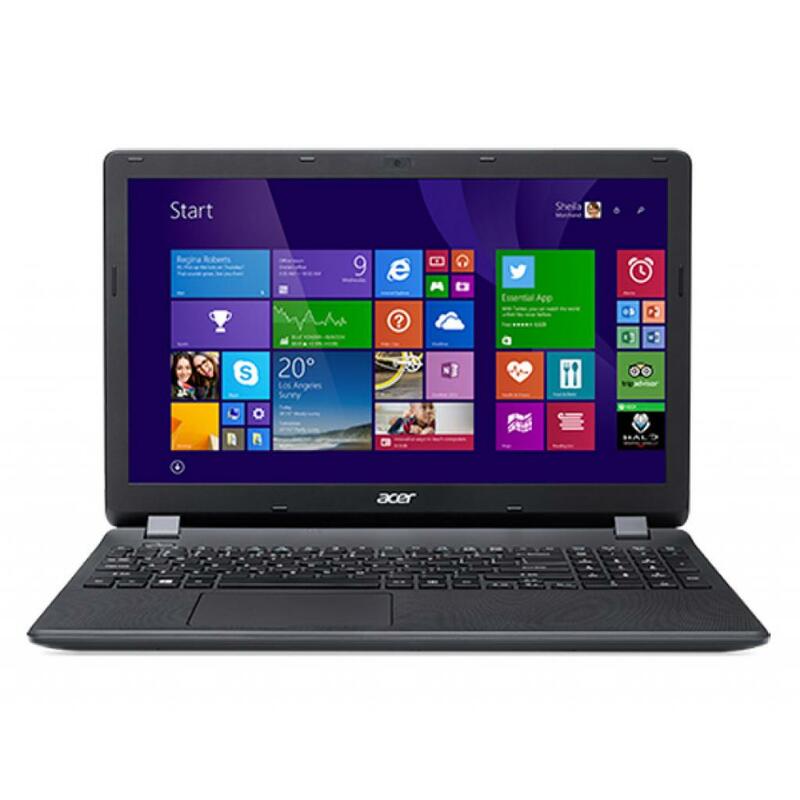 NX.GDWEU.053 Ноутбук Acer Aspire E15 E5-575G-551B (NX.GDWEU.053) 15.6', FullHD (1920 х 1080), Intel Core i5 7200U (2.5-3.1 ГГц), 4 ГБ, отсутствует, 256 ГБ, NVIDIA GeForce GT 940MX, 2 ГБ, No ODD, Bluetooth, Wi-Fi, Gigabit Ethernet, Linux, 4 cell, 2.2 кг, B 12 мес. 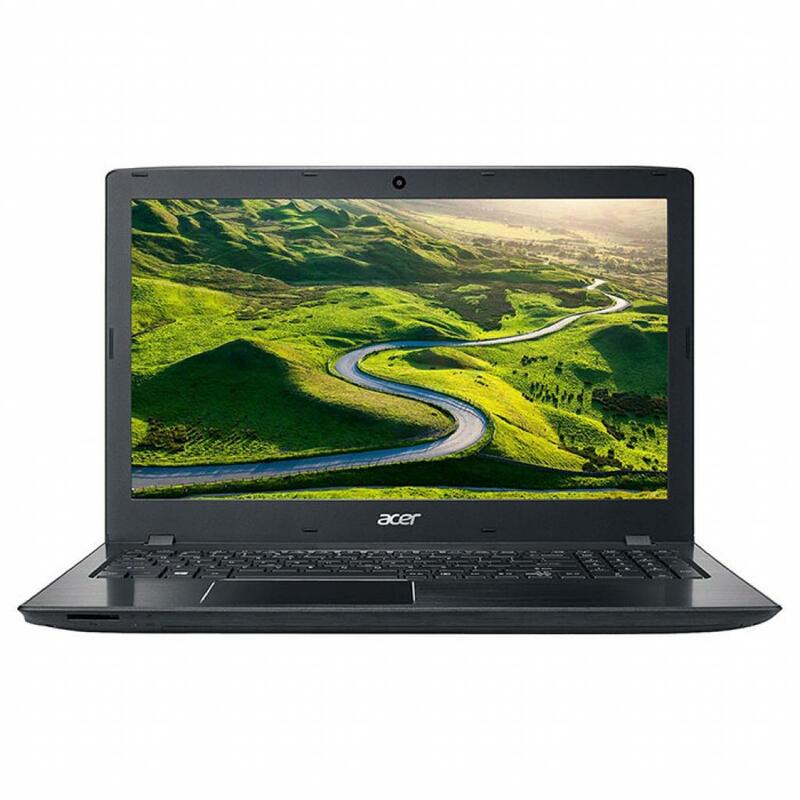 NX.GDWEU.075 Ноутбук Acer Aspire E5-575G-33V5 (NX.GDWEU.075) 15.6', FullHD (1920 х 1080), TN+film, Intel Core i3 7100U (2.4 ГГц), 4 ГБ, 1 ТБ, NVIDIA GeForce GT 940MX, 2 ГБ, DVD-SMulti, Bluetooth, Wi-Fi, LAN (RJ-45), Linux, 4 cell, 2.4 кг, Black 12 мес. NX.GDWEU.079 Ноутбук Acer Aspire E15 E5-575G-39TZ (NX.GDWEU.079) 15.6', FullHD (1920 х 1080), Intel Core i3 7100U (2.4 ГГц), 8 ГБ, отсутствует, 256 ГБ, NVIDIA GeForce GT 940MX, 2 ГБ, DVD±RW, Bluetooth, Wi-Fi, LAN (RJ-45), Linux, 4 cell, 2.2 кг, Black 12 мес. 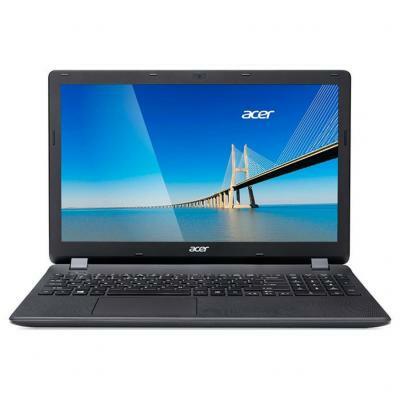 NX.GDWEU.095 Ноутбук Acer Aspire E5-575G-3158 (NX.GDWEU.095) 15.6', FullHD (1920 х 1080), TN+film, Intel Core i3 6006U (2.0 ГГц), 4 ГБ, отсутствует, 128 ГБ, NVIDIA GeForce GT 940MX, 2 ГБ, No ODD, Bluetooth, Wi-Fi, LAN (RJ-45), Linux, 4 cell, 2.2 кг, Black 12 мес. NX.GDWEU.110 Ноутбук Acer Aspire E5-575G-36SJ (NX.GDWEU.110) 15.6', FullHD (1920 х 1080), Intel Core i3 7100U (2.4 ГГц), 8 ГБ, 1 ТБ, NVIDIA GeForce GT 940MX, 2 ГБ, No ODD, Bluetooth, Wi-Fi, LAN (RJ-45), Linux, 2.4 кг, Black 12 мес. NX.GDZEU.042 Ноутбук Acer Aspire E5-575G-54BK (NX.GDZEU.042) 15.6', FullHD (1920 х 1080), TN+film, Intel Core i5 7200U (2.5-3.1 ГГц), 8 ГБ, 1 ТБ, NVIDIA GeForce GTX 950M, 2 ГБ, DVD-SuperMulti, Bluetooth, Wi-Fi, Linux, 6 cell, 2.4 кг, Black 12 мес. NX.GDZEU.046 Ноутбук Acer Aspire E15 E5-575G-779M (NX.GDZEU.046) 15.6', FullHD (1920 х 1080), Intel Core i7-7500U (2.7-3.5GHz), 16 ГБ, 2 ТБ, 256 ГБ, NVIDIA GeForce GTX 950M, 2 ГБ, DVD-SMulti, Bluetooth, Wi-Fi, Gigabit Ethernet, Linux, 6 cell, 2.2 кг, Blac 12 мес. NX.GDZEU.067 Ноутбук Acer Aspire E5-575G-534E (NX.GDZEU.067) 15.6', FullHD (1920 х 1080), TN+film, Intel Core i5 7200U (2.5-3.1 ГГц), 8 ГБ, отсутствует, 256 ГБ, NVIDIA GeForce GTX 950M, 2 ГБ, No ODD, Bluetooth, Wi-Fi, Linux, 6 cell, 2.2 кг, Black 12 мес. 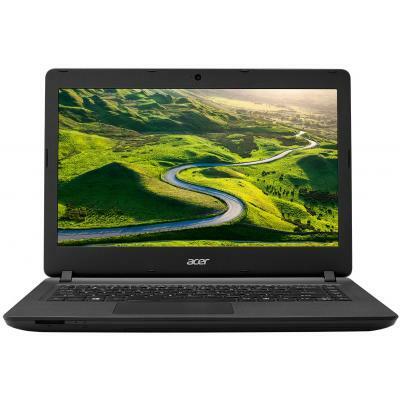 NX.GDZEU.068 Ноутбук Acer Aspire E5-575G-501Q (NX.GDZEU.068) 15.6', FullHD (1920 х 1080), Intel Core i5 7200U (2.5-3.1 ГГц), 8 ГБ, 1 ТБ, NVIDIA GeForce GTX 950M, 2 ГБ, No ODD, Bluetooth, Wi-Fi, LAN (RJ-45), Linux, 2.4 кг, Black 12 мес. 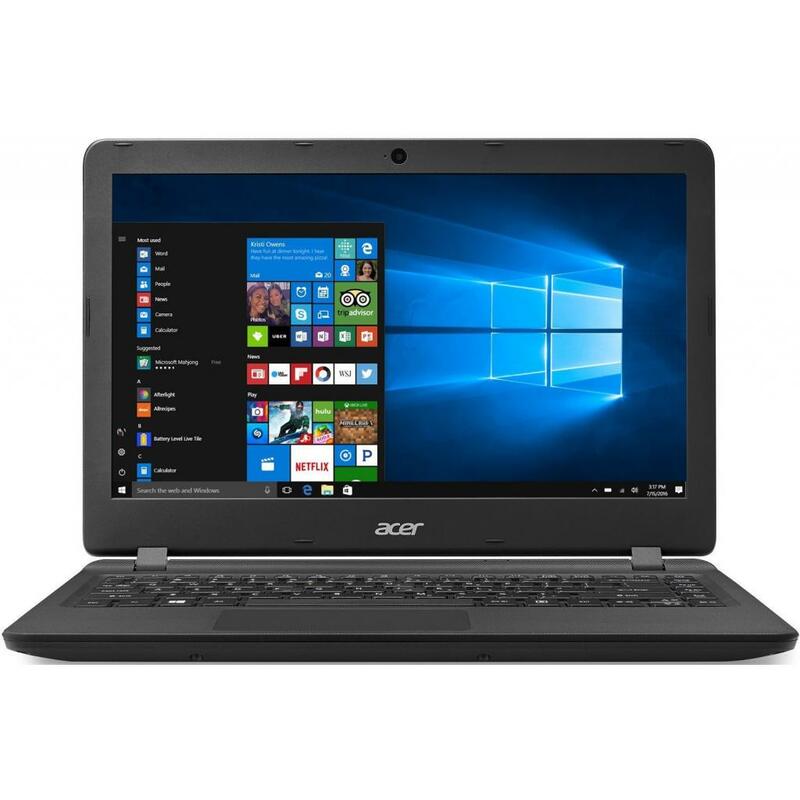 NX.GE6EU.038 Ноутбук Acer Aspire E5-575-51HP (NX.GE6EU.038) 15.6', FullHD (1920 х 1080), TN+film, Intel Core i5 7200U (2.5-3.1 ГГц), 4 ГБ, отсутствует, 256 ГБ, Intel HD Graphics 620, No ODD, Bluetooth, Wi-Fi, LAN (RJ-45), Linux, 4 cell, 2.4 кг, Black 12 мес. NX.GE6EU.055 Ноутбук Acer Aspire E5-575-550H (NX.GE6EU.055) 15.6', FullHD (1920 х 1080), TN+film, Intel Core i5 7200U (2.5-3.1 ГГц), 4 ГБ, 1 ТБ, Intel HD Graphics 620, No ODD, Bluetooth, Wi-Fi, LAN (RJ-45), Linux, 6 cell, 2.3 кг, Black 12 мес. 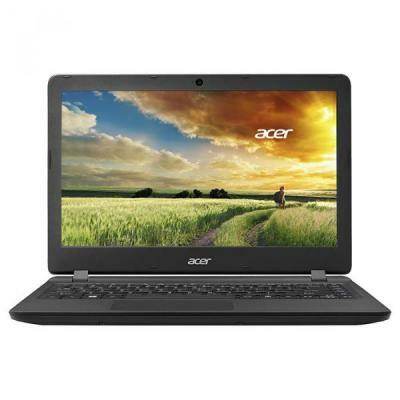 NX.GECEU.016 Ноутбук Acer Aspire E5-774-33LZ (NX.GECEU.016) 17.3', HD+ (1600 x 900), TN+film, Intel Core i3 7100U (2.4 ГГц), 4 ГБ, 500 ГБ, Intel HD Graphics 620, No ODD, Bluetooth, Wi-Fi, LAN (RJ-45), Linux, 4 cell, 2.6 кг, Black 12 мес. 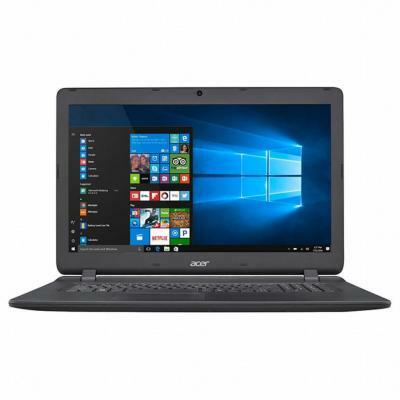 NX.GEDEU.035 Ноутбук Acer Aspire E5-774G-54FL (NX.GEDEU.035) 17.3', FullHD (1920 х 1080), Intel Core i5 7200U (2.5-3.1 ГГц), 8 ГБ, 1 ТБ, NVIDIA GeForce GTX 950M, 2 ГБ, DVD-SMulti, Bluetooth, Wi-Fi, Gigabit Ethernet, Linux, 6 cell, 3.3 кг, Black 12 мес. 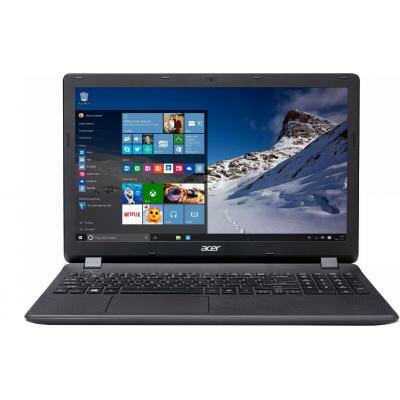 NX.GEDEU.037 Ноутбук Acer Aspire E17 E5-774G-77F5 (NX.GEDEU.037) 17.3', FullHD (1920 х 1080), Intel Core i7-7500U (2.7-3.5GHz), 16 ГБ, 2 ТБ, NVIDIA GeForce GTX 950M, 2 ГБ, DVD-SMulti, Bluetooth, Wi-Fi, Gigabit Ethernet, Linux, 6 cell, 3.3 кг, Black 12 мес. 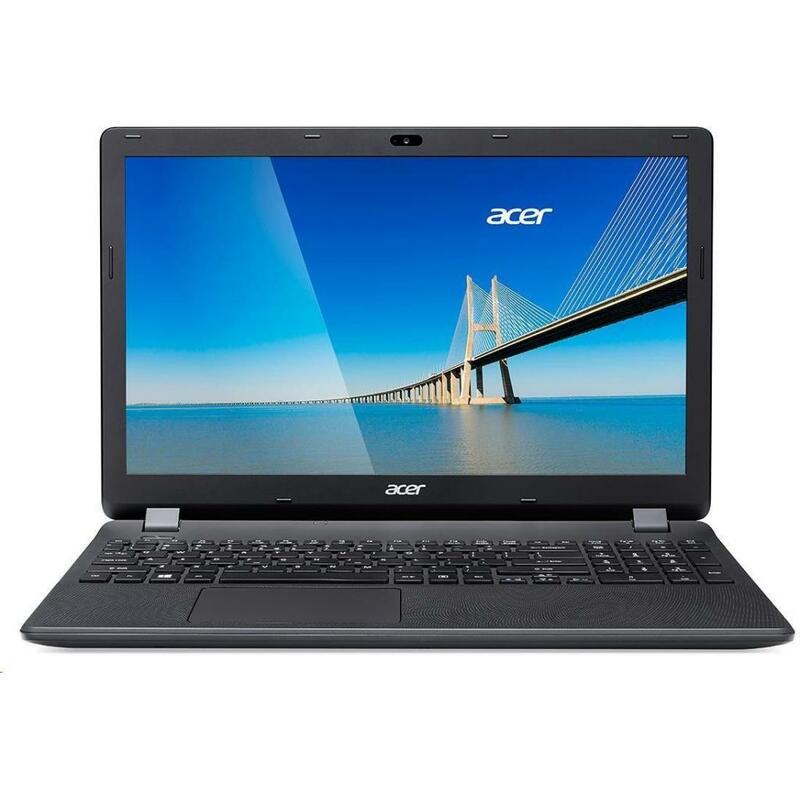 NX.GEMEU.002 Ноутбук Acer Aspire F5-771G-31JJ (NX.GEMEU.002) 17.3', HD+ (1600 x 900), TN+film, Intel Core i3 7100U (2.4 ГГц), 4 ГБ, 1 ТБ, NVIDIA GeForce GT 940MX, 4 ГБ, DVD-SMulti, Bluetooth, Wi-Fi, LAN (RJ-45), Linux, 4 cell, 2.9 кг, Black 12 мес. NX.GFHEU.003 Ноутбук Acer Aspire F15 F5-573G-31C1 (NX.GFHEU.003) 15.6', FullHD (1920 х 1080), Intel Core i3 7100U (2.4 ГГц), 4 ГБ, 1 ТБ, NVIDIA GeForce GT 940MX, 4 ГБ, DVD±RW, Bluetooth, Wi-Fi, Gigabit Ethernet, Linux, 4 cell, 2.3 кг, Black 12 мес. NX.GFHEU.005 Ноутбук Acer Aspire F5-573G-37EQ (NX.GFHEU.005) 15.6', FullHD (1920 х 1080), Intel Core i3 7100U (2.4 ГГц), 8 ГБ, отсутствует, 256 ГБ, NVIDIA GeForce GT 940MX, 4 ГБ, DVD-SMulti, Bluetooth, Wi-Fi, LAN (RJ-45), Linux, 4 cell, 2.4 кг, Black 12 мес. NX.GFHEU.007 Ноутбук Acer Aspire F5-573G-557W (NX.GFHEU.007) 15.6', FullHD (1920 х 1080), TN+film, Intel Core i5 7200U (2.5-3.1 ГГц), 4 ГБ, 1 ТБ, NVIDIA GeForce GT 940MX, 4 ГБ, DVD±RW, Bluetooth, Wi-Fi, Gigabit Ethernet, Linux, 4 cell, 2.4 кг, Black 12 мес. 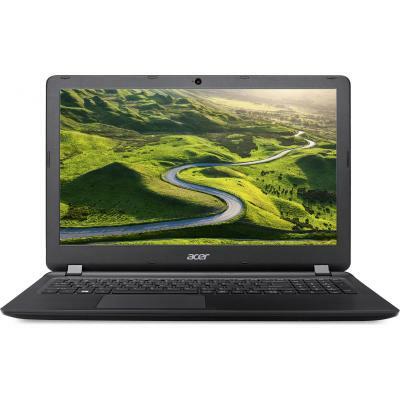 NX.GFHEU.009 Ноутбук Acer Aspire F5-573G-53MW (NX.GFHEU.009) 15.6', FullHD (1920 х 1080), TN+film, Intel Core i5 7200U (2.5-3.1 ГГц), 8 ГБ, отсутствует, 256 ГБ, NVIDIA GeForce GT 940MX, 4 ГБ, DVD-SMulti, Bluetooth, Wi-Fi, LAN (RJ-45), Linux, 4 cell, 2.4 к 12 мес. 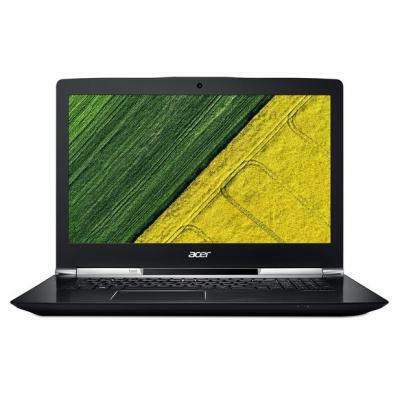 NX.GFJEU.011 Ноутбук Acer Aspire F5-573G-51Q7 (NX.GFJEU.011) 15.6', FullHD (1920 х 1080), TN+film, Intel Core i5 7200U (2.5-3.1 ГГц), 8 ГБ, 1 ТБ, NVIDIA GeForce GTX 950M, 4 ГБ, DVD-SMulti, Bluetooth, Wi-Fi, LAN (RJ-45), Linux, 6 cell, 2.3 кг, Black 12 мес. NX.GFJEU.019 Ноутбук Acer Aspire F5-573G-57MV (NX.GFJEU.019) 15.6', FullHD (1920 х 1080), Intel Core i5 7200U (2.5-3.1 ГГц), 8 ГБ, отсутствует, 256 ГБ, NVIDIA GeForce GTX 950M, 4 ГБ, DVD-SMulti, Bluetooth, Wi-Fi, Gigabit Ethernet, Linux, 6 cell, 2.2 кг, B 12 мес. 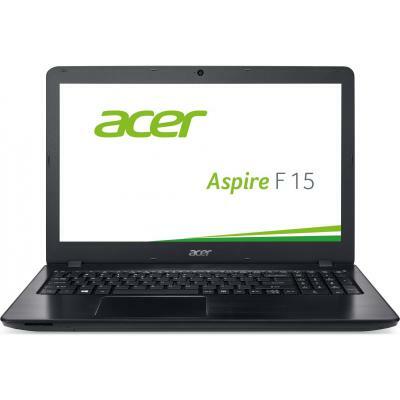 NX.GFJEU.026 Ноутбук Acer Aspire F15 F5-573G-38L7 (NX.GFJEU.026) 15.6', FullHD (1920 х 1080), Intel Core i3 6006U (2.0 ГГц), 4 ГБ, отсутствует, 256 ГБ, NVIDIA GeForce GTX 950M, 4 ГБ, No ODD, Bluetooth, Wi-Fi, Gigabit Ethernet, Linux, 6 cell, 2.4 кг, Black 12 мес. 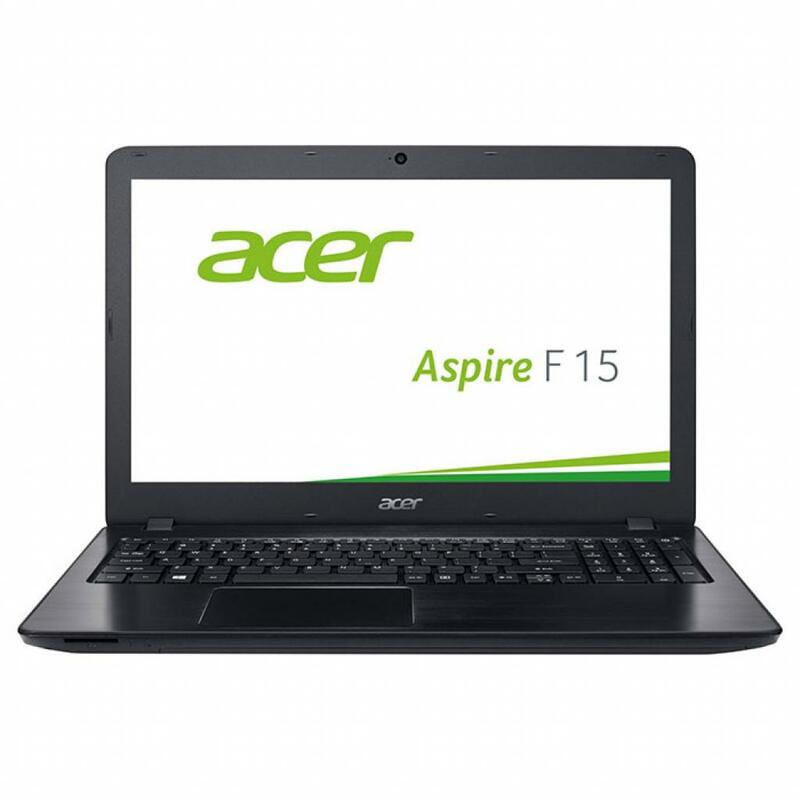 NX.GFJEU.028 Ноутбук Acer Aspire F15 F5-573G-33BR (NX.GFJEU.028) 15.6', FullHD (1920 х 1080), Intel Core i3 6006U (2.0 ГГц), 8 ГБ, 1 ТБ, 128 ГБ, NVIDIA GeForce GTX 950M, 4 ГБ, No ODD, Bluetooth, Wi-Fi, Gigabit Ethernet, Linux, 6 cell, 2.4 кг, Black 12 мес. NX.GFJEU.030 Ноутбук Acer Aspire F5-573G-518C (NX.GFJEU.030) 15.6', FullHD (1920 х 1080), TN+film, Intel Core i5 7200U (2.5-3.1 ГГц), 8 ГБ, отсутствует, 256 ГБ, NVIDIA GeForce GTX 950M, 4 ГБ, No ODD, Bluetooth, Wi-Fi, LAN (RJ-45), Linux, 6 cell, 2.2 кг, B 12 мес. NX.GFTEU.003 Ноутбук Acer Aspire ES1-533-C3RY (NX.GFTEU.003) 15.6', HD (1366 х 768), TN+film, Intel Celeron N3350 (up to 2.4 ГГц), 4 ГБ, 500 ГБ, Intel HD Graphics, No ODD, Bluetooth, Wi-Fi, LAN (RJ-45), Linux, 3 cell, 2.2 кг, Black 12 мес. 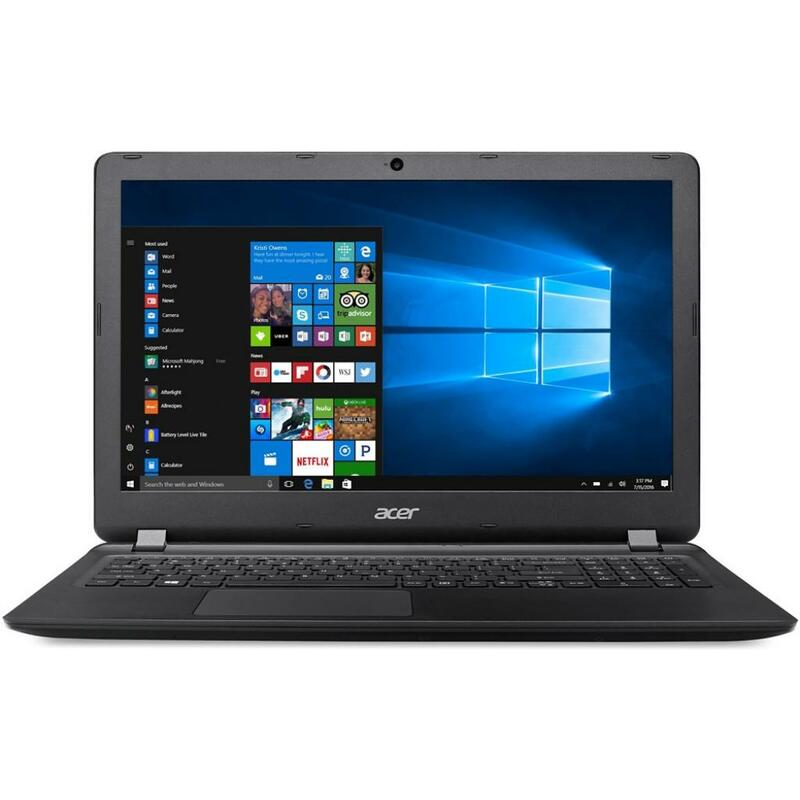 NX.GG2EU.002 Ноутбук Acer Aspire ES11 ES1-132-C4V3 (NX.GG2EU.002) 11.6', HD (1366 х 768), TN+film, Intel Celeron N3350 (up to 2.4 ГГц), 2 ГБ, 500 ГБ, Intel HD Graphics, No ODD, Bluetooth, Wi-Fi, LAN (RJ-45), Linux, 3 cell, 1.25 кг, Black 12 мес. 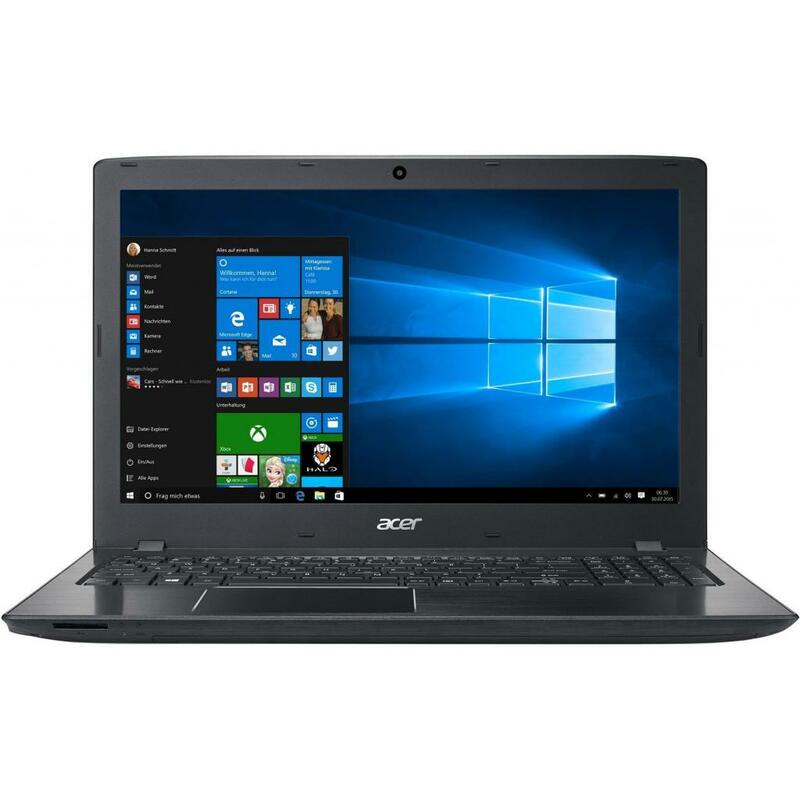 NX.GG2EU.006 Ноутбук Acer Aspire ES1-132-C64Q (NX.GG2EU.006) 11.6', HD (1366 х 768), TN+film, Intel Celeron N3350 (up to 2.4 ГГц), 4 ГБ, 500 ГБ, Intel HD Graphics, No ODD, Bluetooth, Wi-Fi, LAN (RJ-45), Linux, 3 cell, 1.5 кг, Black 12 мес. 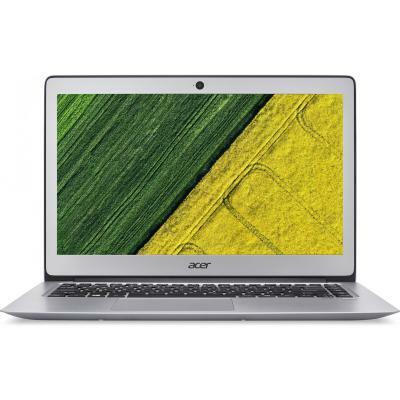 NX.GG7EU.018 Ноутбук Acer Aspire E5-774G-72KK (NX.GG7EU.018) 17.3', FullHD (1920 х 1080), TN+film, Intel Core i7 6500U (2.5 - 3.1 ГГц), 8 ГБ, 1 ТБ, NVIDIA GeForce GT 940MX, 2 ГБ, DVD±RW, Bluetooth, Wi-Fi, LAN (RJ-45), Linux, 4 cell, 2.6 кг, Black 12 мес. 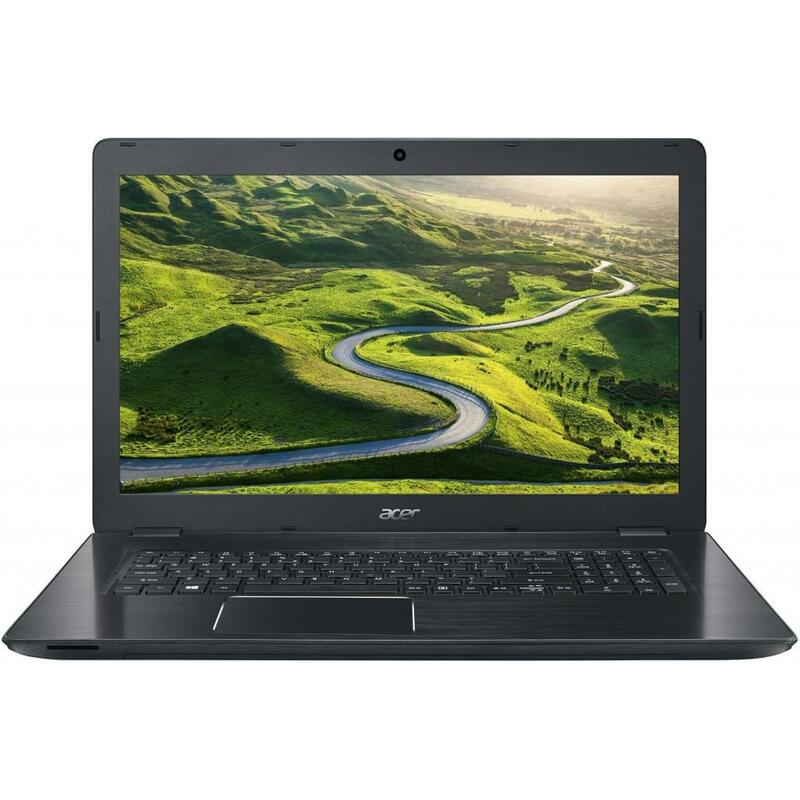 NX.GG7EU.038 Ноутбук Acer Aspire E5-774G-364G (NX.GG7EU.038) 17.3', HD+ (1600 x 900), TN+film, Intel Core i3 7100U (2.4 ГГц), 4 ГБ, 500 ГБ, NVIDIA GeForce GT 940MX, 2 ГБ, No ODD, Bluetooth, Wi-Fi, LAN (RJ-45), Linux, 4 cell, 2.6 кг, Black 12 мес. 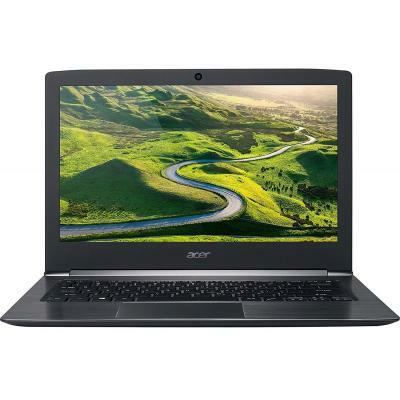 NX.GGLEU.004 Ноутбук Acer Aspire ES1-132-C2L5 (NX.GGLEU.004) 11.6', HD (1366 х 768), Intel Celeron N3350 (up to 2.4 ГГц), 2 ГБ, отсутствует, 32 ГБ, Intel HD Graphics, No ODD, Bluetooth, Wi-Fi, LAN (RJ-45), Linux, 3 cell, 1.25 кг, Black 12 мес. NX.GGLEU.013 Ноутбук Acer Aspire ES11 ES1-132-C8GR (NX.GGLEU.013) 11.6', HD (1366 х 768), Intel Celeron N3350 (up to 2.4 ГГц), 4 ГБ, отсутствует, 64 ГБ, Intel HD Graphics, No ODD, Bluetooth, Wi-Fi, LAN (RJ-45), Linux, 3 cell, 1.25 кг, Black 12 мес. 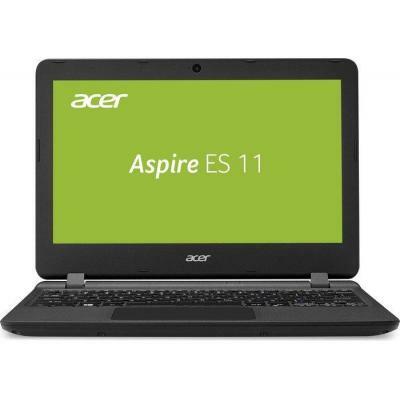 NX.GGSEU.006 Ноутбук Acer Aspire ES15 ES1-524-69Y3 (NX.GGSEU.006) 15.6', HD (1366 х 768), AMD A6-9210 (2.4 - 2.8 ГГц), 4 ГБ, 500 ГБ, AMD Radeon R4, No ODD, Bluetooth, Wi-Fi, Linux, 3 cell, 2.4 кг, Black 12 мес. NX.GH4EU.006 Ноутбук Acer Aspire ES17 ES1-732-C33D (NX.GH4EU.006) 17.3', HD+ (1600 x 900), Intel Celeron N3350 (up to 2.4 ГГц), 4 ГБ, 500 ГБ, Intel HD, No ODD, Bluetooth, Wi-Fi, LAN (RJ-45), Linux, 3 cell, 3 кг, Black 12 мес. NX.GH4EU.008 Ноутбук Acer Aspire ES17 ES1-732-C59M (NX.GH4EU.008) 17.3', HD+ (1600 x 900), Intel Celeron N3350 (up to 2.4 ГГц), 4 ГБ, 500 ГБ, Intel HD Graphics, DVD±RW, Bluetooth, Wi-Fi, LAN (RJ-45), Linux, 3 cell, 2.8 кг, Black 12 мес. NX.GHAEU.008 Ноутбук Acer Aspire ES15 ES1-532G-C3WX (NX.GHAEU.008) 15.6', HD (1366 х 768), Intel Celeron N3060 (1.6 - 2.48 ГГц), 4 ГБ, 500 ГБ, NVIDIA GeForce 920MX, 2 ГБ, No ODD, Bluetooth, Wi-Fi, LAN (RJ-45), Linux, 3 cell, 2.4 кг, Black 12 мес. NX.GJ2EU.002 Ноутбук Acer Aspire F5-771G-30HP (NX.GJ2EU.002) 17.3', FullHD (1920 х 1080), TN+film, Intel Core i3 7100U (2.4 ГГц), 8 ГБ, 1 ТБ, NVIDIA GeForce GTX 950M, 4 ГБ, DVD-SMulti, Bluetooth, Wi-Fi, Gigabit Ethernet, Linux, 4 cell, 2.9 кг, Black 12 мес. 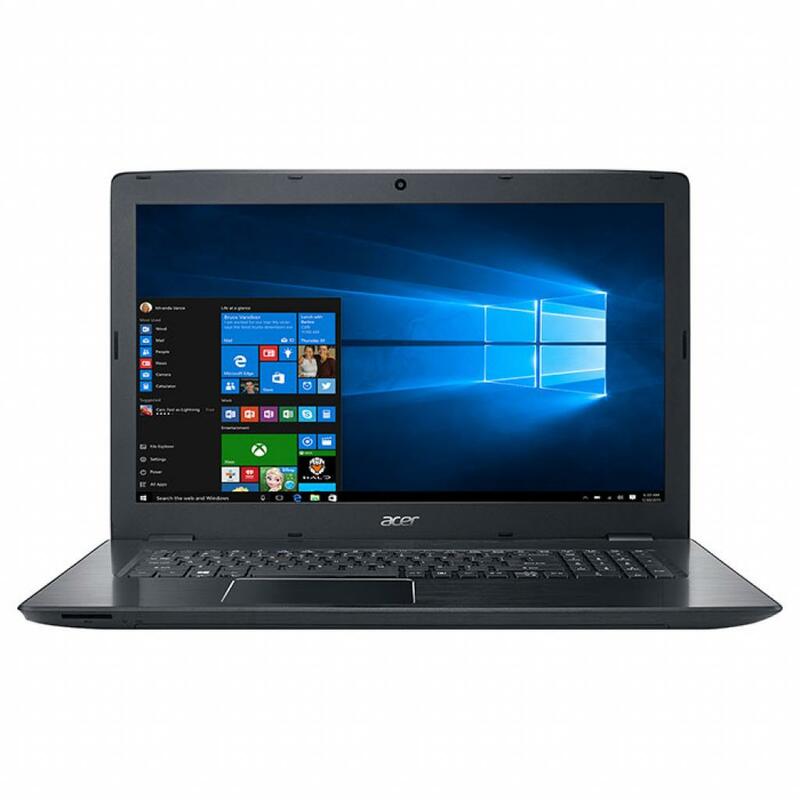 NX.GJ2EU.004 Ноутбук Acer Aspire F5-771G-56UN (NX.GJ2EU.004) 17.3', FullHD (1920 х 1080), Intel Core i5 7200U (2.5-3.1 ГГц), 8 ГБ, 1 ТБ, NVIDIA GeForce GTX 950M, 4 ГБ, DVD-SMulti, Bluetooth, Wi-Fi, Gigabit Ethernet, Linux, 6 cell, 2.8 кг, Black 12 мес. NX.GJ2EU.006 Ноутбук Acer Aspire F5-771G-7513 (NX.GJ2EU.006) 17.3', FullHD (1920 х 1080), TN+film, Intel Core i7-7500U (2.7-3.5GHz), 16 ГБ, 2 ТБ, 128 ГБ, NVIDIA GeForce GTX 950M, 4 ГБ, DVD-SMulti, Bluetooth, Wi-Fi, Gigabit Ethernet, Linux, 4 cell, 2.9 кг, 12 мес.